I recently visited the Cliffs of Moher in Ireland’s County Clare—a mecca that attracts tourists from all over the world. The cliffs rise precipitously above the Atlantic, and when you stand at the top of them, you look down on a short grassy decent that quickly ends at a sharp shelf. And then a sheer 700-foot drop to The Atlantic. The view is dramatic and the cliffs appear monolithic. And yet despite the fact that the Slieve League Cliffs in Donegal are three times higher, the Cliffs of Moher are far more frequently visited. Perhaps this is because there is something dramatic, frightening, compelling, alluring and awe-inspiring about the Cliffs of Moher. And while it is difficult to visit the cliffs without being swarmed by other tourists, one can easily feel alone contemplating this natural wonder and then to begin a ghoulish speculation on how many people have either jumped or accidentally fallen to their deaths. On a recent trip there, when I wondered aloud how many people had died in a plunge from The Cliffs of Moher, my companion was skeptical and said he doubted that there were any deaths at all. But a quick internet search found a plaintive article written by an Irish journalist lamenting the fact that so many people had jumped to their deaths and that the number and frequency of these suicides seemed to be increasing. There are several strikingly unprotected places where one can fall and easily take the drop down. When I was up on the cliffs, the winds gusted stiffly and it was easy to imagine getting swept off. And yet, apparently, none of the deaths recorded were accidental. With a bit more digging, I learned that people often travel to the Cliffs of Moher—by bus, car, by bicycle, even, to commit suicide. The journalist recounted the story of a middle-aged woman with a job and a web of caring friends and family who took a three-hour bus ride to the cliffs from Dublin. Apparently, she was talkative and cheerful on the journey. She was wearing a red dress. She never boarded the bus to make the trip home; however, her absence wasn’t particularly noted. 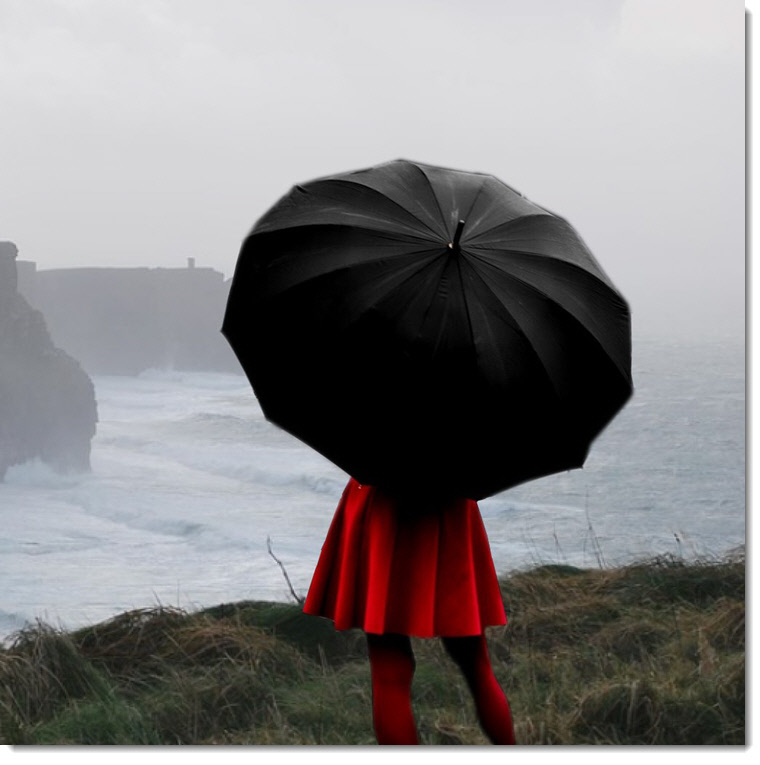 That very evening, she jumped off the cliffs under the cover of darkness, and the journalist who wrote the article was one of the first people to see her body broken on the shoals far below—the red dress shockingly livid from far above the sea. It took the first responders many attempts and several days to recover the body, and the journalist made the point that anybody who jumps from the cliffs of Moher is doing so without regard for the people who will, per force, be recovering the body. The currents are rugged and the approach to the bottom of the cliffs is treacherous. At the cliffs of Moher, taking one’s life is pointedly—selfishly—risking the lives of others. It’s fascinating how people who reach the sad, compelling realization that they want to end their lives choose to do so in high (no pun intended) fashion, to discern the perfect setting, as though their exit from the world is like an exit from a spotlighted stage. A former friend of mine made a documentary about all the people who jumped off the Golden Gate Bridge, and he noted two things: one, that the jumpers chose to face the city of San Francisco rather than face away from it; and two, far fewer people jumped off the Bay Bridge. In the midst of distress, some people can find the presence of mind to create theater out of an act of violence against themselves.